Serving DeKalb, Kane, and Kendall Counties, the regional Workforce Development Division, administered by Kane County, provides employment and training services and programs through the federally-funded Workforce Innovation and Opportunity Act (WIOA). WIOA provides the framework for a unique national workforce preparation and employment system designed to meet both the needs of the nation’s businesses and the needs of job seekers and those who want to further their careers. We provide a host of services to eligible adults who need assistance in seeking and obtaining new employment or enhancing their job skills, including a Job Board to view local employment opportunities. We offer a variety of services and programs to benefit local businesses, including recruitment assistance and grants to train new hires or your existing workforce. Our youth representatives focus their efforts on youth between the ages of 16-24 who have been identified as needing an extra push to help them complete high school to receive a diploma, obtain a GED or get a job. 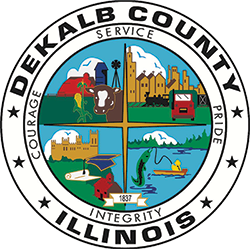 DeKalb Workforce Development Office at 815-901-0177. Computer use for career search, resume and cover letter writing, business information and skill development. Kishwaukee College Workforce Development Education & Training Resources offers education, training, and support services to individuals facing educational and economic barriers to their transition to college and careers. KC offers professional development courses and non-credit certificate programs focused on personal development, career training and continuing professional development with convenient schedules to accommodate your lifestyle, either online or traditional classroom. KC’s short-term training programs offer a quick, non-credit, professional training to jump start a career in fields such as Truck Driving Training, Dental Assistant, Forklift Operator, and Veterinary Tech. For more information, please visit Kishwaukee College’s Division of Workforce & Community Education. Waubonsee Community College’s Career Programs, also known as career and technical education (CTE) programs, are an opportunity for you to gain job-specific skills for an entry-level position, or obtain a specialized credential to help advance your career, all while earning college credit. If you’re looking for short-term, skill-specific courses that can start, advance or enhance your career without college credit, WCC’s Professional Development offerings would be right for you. For more information, please visit Waubonsee Community College Career Programs.